“The people are willing to give their lives but not their religion,” he added speaking on behalf of the more than 80 million Iranians who have been disenchanted with the regime for years. 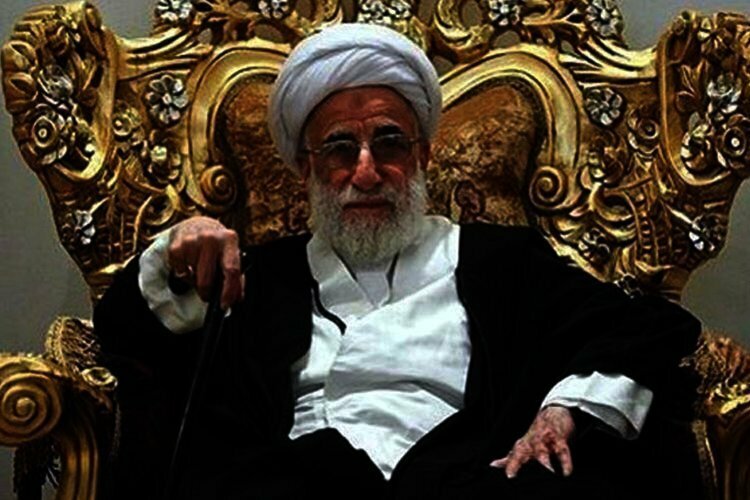 The Chairman of the Guardian Council, who was speaking at the mausoleum of Ruhollah Khomeini on the eve of the anniversary of the revolution, said that one of the reasons the regime had been able survive for 40 years was because “Iranians had resisted the enemy”. However, the only reason the regime has been able to survive for four decades has been its systematic use of suppression, torture and execution against any kind of opposition to its rule. He also acknowledged the dire state of the economy which has impacted the livelihood of Iranian families and pleaded with the people not to lose hope in the state. “America is in decline and we should not be afraid and lose hope in ourselves. Our problems have solutions and we have to believe that we can,” the 91 year old cleric who is ridiculed by Iranians for not dying despite his age, added. According to unofficial statistics, 80% of Iranians live under the line of poverty with some not even able to provide food for their families. Jannati also criticized what he called “free internet” and said that it led to an increase in divorce. “Who is responsible for modifying the internet other than the government and the state? Why should this environment be so open and free so as to pervert our young people and increase divorce? Prostitution is taught in this environment. This space has to be used for the benefit of the people and the revolution,” he said adding that the regime “must take over the internet”. Senior Iranian officials regularly speak on behalf of the people to stress how much Iranians love the regime. This is while Iranians express their real feelings for the regime in street protests chanting “death to Khamenei”, the regime’s Supreme Leader, or by using the hashtag #IranRegimeChange on social media platforms. Of course, if caught, they face dire consequences for being brave enough to express their feelings towards the regime.